Any linguist knows that every language has its regional quirks. Travelers visiting New York City might be puzzled when hearing words like “bodega” and “schmear.” Fear not, The New Yorker Hotel, has unraveled the mysteries of New York’s dialect. Read on to learn how to survive some of the city’s liguistics challenges. What City? Manhattan, of course! Although New York City is made up of five boroughs - Manhattan, Brooklyn, Queens, Bronx and Staten Island - the only one that counts as a metropolis is Manhattan. Next time you hop on a “train,” you’ll want to head North or South. In New York, that translates to “Uptown” (North) or Downtown (South) direction. Don’t take it literally, though. For example, Downtown trains turn East when heading to Brooklyn. 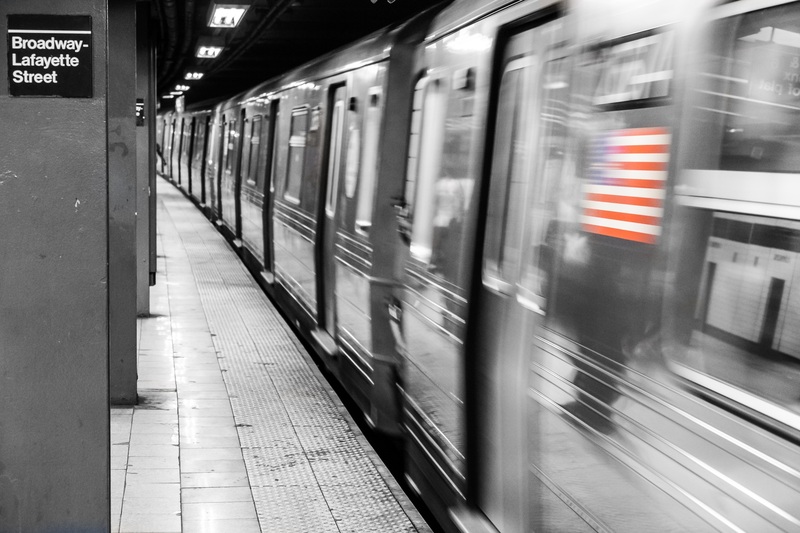 In New York, a train is a plain old subway. No “metro,” no “underground.” Although you can take trains from Grand Central and Penn Station, it’s hard to mistake which one you mean. Speaking of New Yorkers having better things to do with their time than pronounce long names, the chic shopping haven known as SoHo is short for South of Houston St.
Lactose intolerants, be warned: in New York’s intricate pizza universe, a slice means one thing: a succulent, gooey cheese pizza. A New York institution, bagels are the local favorite to-go food. 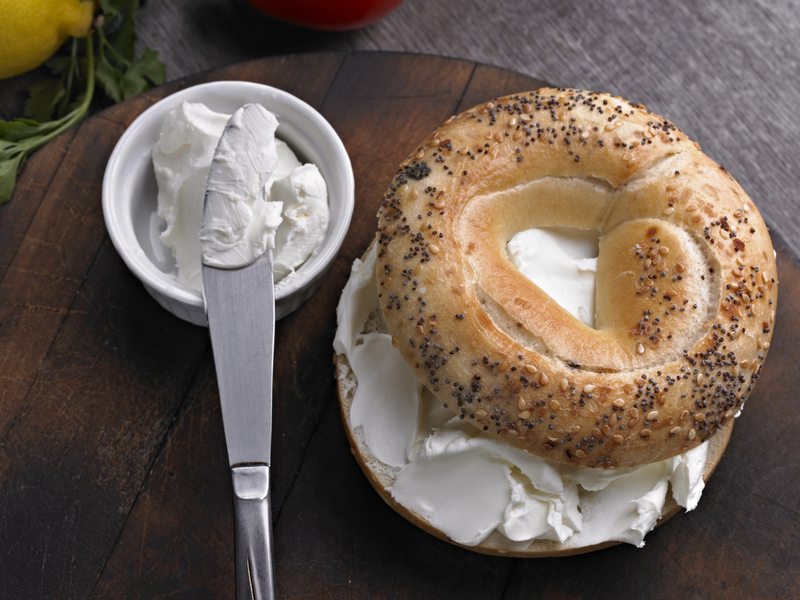 Of all the possible combinations, the bagel and cream cheese combo is the most popular, however, it’s hard to get right. You need a “schmear” - not too much, not too little. Everybody needs a late-night snack every once in a while and New Yorkers have risen up to the challenge. Located at almost any corner, small convenience stores are called “bodegas,” maybe in reference to the Spanish word for “warehouse.” These useful shops are bound to have a little bit of everything, 24 hours a day, 365 days a year. Once again, why bother saying “forget about it” when a slurred “Fuhgedaboudit” will do? Head to genuine Italian restaurants or walk around Little Italy to catch locals using this phrase. Keep in mind that it might take a skilled ear to identify it at first. 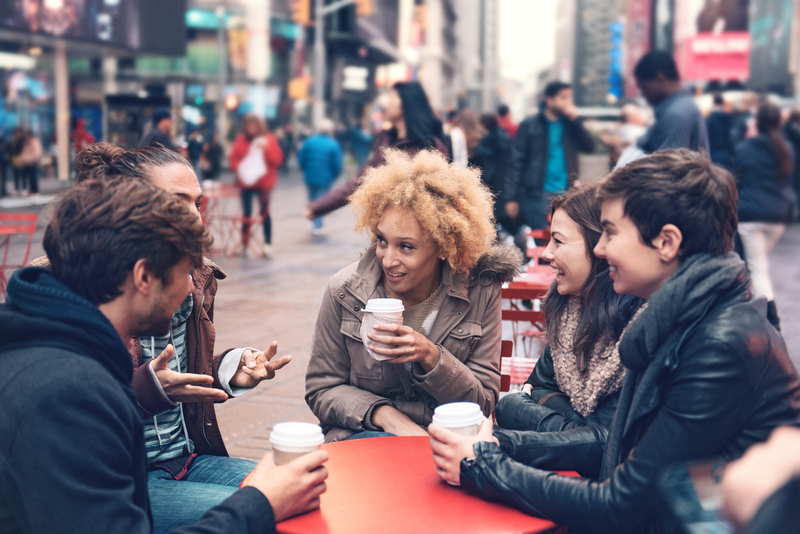 Add this New York’s dialect survival guide to your pre-trip checklist. Now you need a hotel that will make your stay memorable. Check out The New Yorker Hotel’s rich history, exceptional dining options and special offers.